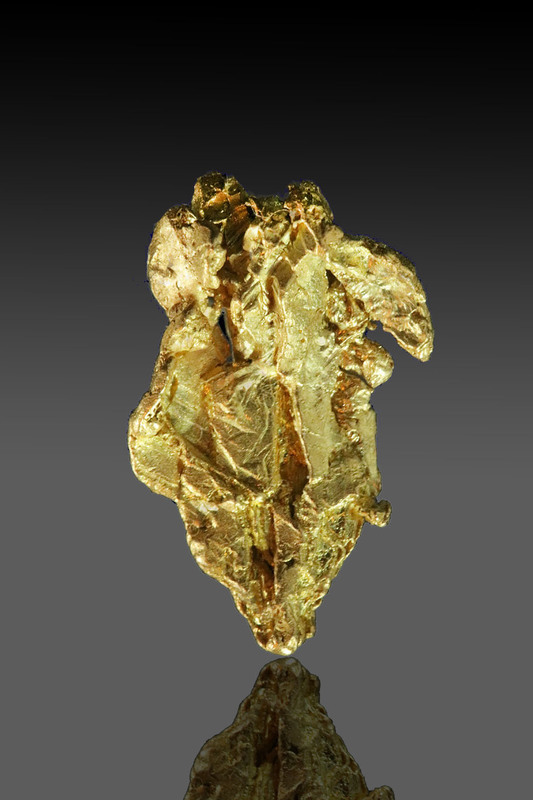 Gold crystals from the Yukon are very rare and almost an anomaly. 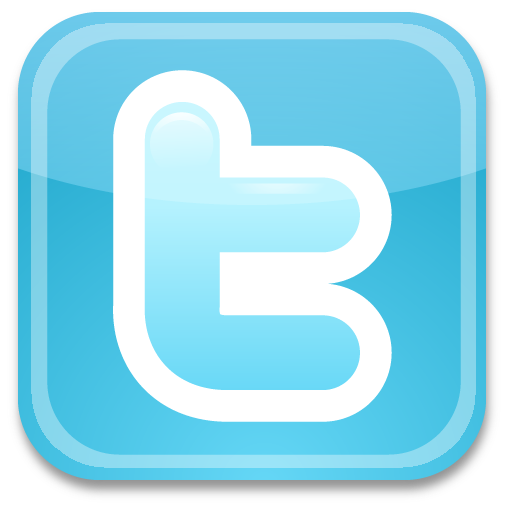 I see hundreds of gold nuggets from the region and hardly ever see crystalized gold from the region. 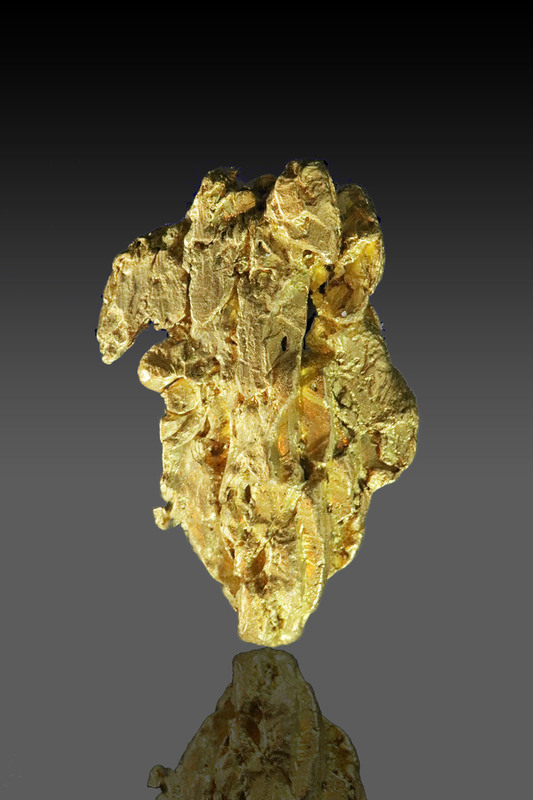 This gold specimen has some intricate folds and geometric patters on the surface of both sides. 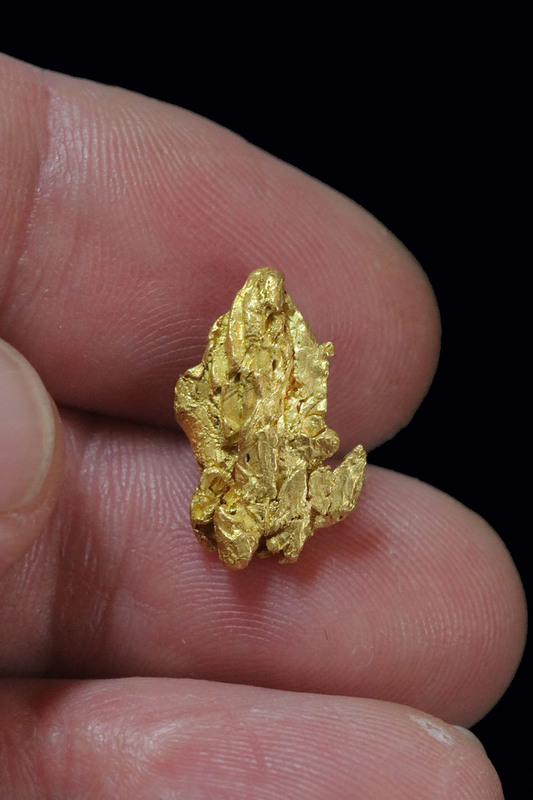 A beautiful piece of gold from the Yukon region.